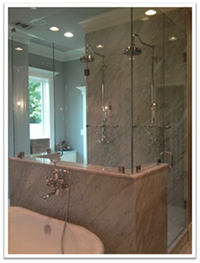 Frameless shower doors are gaining in popularity. Most modern shower designs depict frameless doors to enhance the beauty of the new state of the art showers. People are finding that when they make an important investment to install a beautiful shower area with elegant tile and fixtures, an old fashioned type of shower door complete with metal frame just doesn’t go with the look, and may actually detract from the shower. Gone are the days of shower curtains that quickly become moldy or mildewed. The frame of the shower door usually quickly oxidized or became discolored, leaving just the door to set off the shower area. Frameless shower doors are made entirely of glass. Cleaning becomes much easier, and there is no metal to worry about. They provide elegance to your shower area, undeterred by the metal frame. Suddenly your shower space seems much larger. 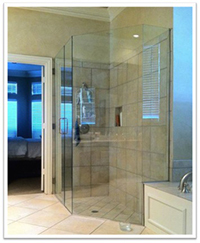 Frameless shower doors are extremely durable. With the new seal-in technology available, frames and tracks are no longer necessary. Water from the shower is easily kept in the shower and not in puddles on the track. The beautiful glass showcases the tile and fixtures in the shower area. The Alamo Glass Company was founded in 1958 and is a leader in glass fixtures, tabletops, shower doors, and custom glass designs. We take pride in over 50 years of excellent service to our customers in beautifying their homes. 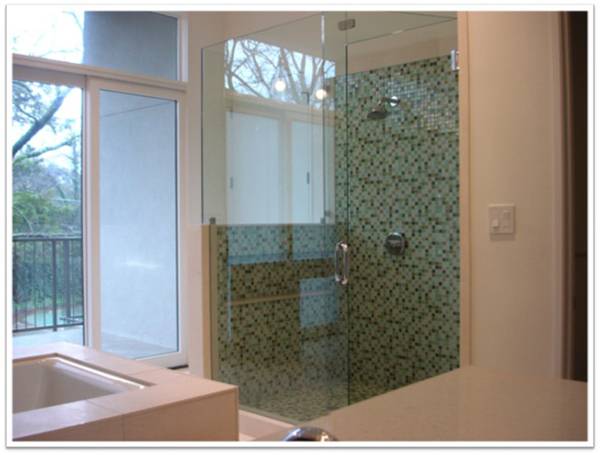 For residential, commercial and automotive glass needs, the Alamo Glass Company can do it all. My parents have a frameless shower door in their bathroom, and I love how it adds to the decor of the whole room. It helps that they take good care of it too. I did not know that they were so durable, but that is definitely an added bonus, one that my wife and I will consider putting into our new home this year. Thanks for the post.